(Newser) – A North Korean patrol ship crossed a maritime border with the South multiple times last night, South Korea's defense ministry says. It finally ended up in North Korean waters—but not until the South had broadcast 10 warnings, Yonhap News reports. 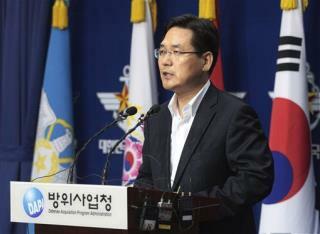 The border crossing may have been "part of military drills or an inspection" of the Seoul's military, a defense spokesman for the South says. With the South beginning military drills with the US, "it is believed that (the North Korean ship) intended to test the South Korean military." Fire wasn't exchanged, the Wall Street Journal reports. Kim Jong dingly dong, purveyor in fine dog crap, says this is just a test of his will to annihilate South Korea, visavis the USA. He says there is a line and he can cross it anytime he desires. He then had to leave because someone spotted a nice pile of Chihuahua poop and needed to get to it before someone sniped it from him.